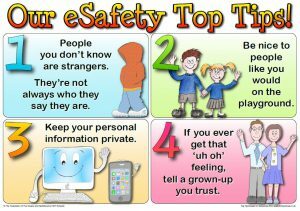 Children use the internet all the time for learning which is why it is necessary to make sure that they are safe. Electrical devices are used in day to day life most of which allow you to access the internet from wherever you are. The most common device children use for the internet is a computer or laptop as most people have either one or the other at their home as well as being in schools. Other devices that you should be aware of are mobile phones, game consoles tablets such as the iPad. You can’t always monitor what your child is doing which can cause worry as the internet isn’t always safe. Keep the computer where you can see it – By doing this you will be able to see what they are looking at and know if click on anything inappropriate or try to talk to someone they don’t know. Pop-up Blocker – Pop-up blocker is an application installed for browsers to stop pop-ups from appearing while you are searching the internet. This is good as some pop-ups can lead to websites you don’t want your children visiting. The staff understand the risks involved for young people on the internet, be it Social Networking, Smartphones or Video Chat sites. 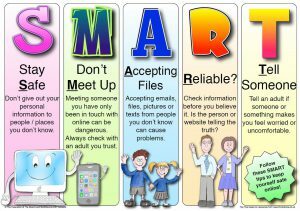 The internet is an ever changing and evolving environment and we (parents, carers, teachers and support staff) must understand this and be able to give the children the best advice on how to use it safely, and where to go if they feel vulnerable or victimised. The CEOP button can be found on many websites and will direct you to their page where you will be able to find help. Think U Know – Information for 5 – 16 years olds as well as parents, carers and teachers. CBBC Stay Safe – Has videos about different things involving staying safe on the internet.